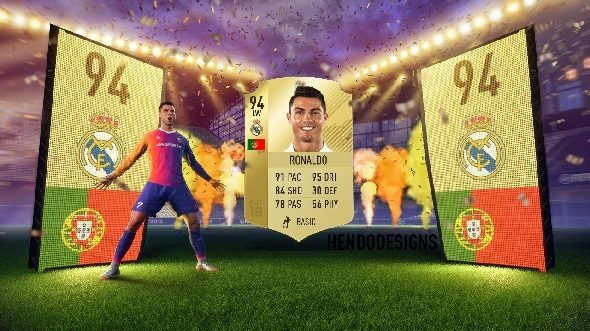 As a veteran of the Panini sticker album and Topps trading card days, card collecting game modes in sports games hold a special place in my heart, and there is a fine selection to choose from at the moment. However, as a quick glance at their respective subreddits and prominent YouTube or Twitter accounts will confirm, every mode across that selection is also deeply flawed. So what would the perfect CCG mode look like in a sports game? Let’s take the best components from a number of different games and stitch together our own Frankenstein’s monster of a mode. Want cards without the sports? We have the best card games on PC. NBA Live is the runt of the sports game litter – not only having to compete with NBA 2K18, but also every other EA Sports title. However, runts often turn out to be scrappy underdogs, too, willing to do things a little differently in order to be noticed. This is how NBA Live 18 came into its own in 2017, doing many of the same things that those other titles do, but focusing on accessibility over complexity. The abundance of in-game currency means the grind is substantially reduced in NBA Live 18, when compared to some of its peers. The weekly challenges mean that even average players can often grab the game’s best cards. And the weekly limited-time packs guarantee special cards, meaning you are not faced with opening pack after pack, only to receive rubbish in return. If you are the kind of person who likes to take a deep dive into a sports CCG mode, FIFA represents the gold standard for off-screen support, thanks to the FIFA companion app. For four years now, it has allowed me to pore over the transfer market and tinker with squads, all while I sit through yet another 50-minute commute. With the addition of time-limited squad building challenges – often offering valuable rewards linked to their completion – the app is more vital than ever. 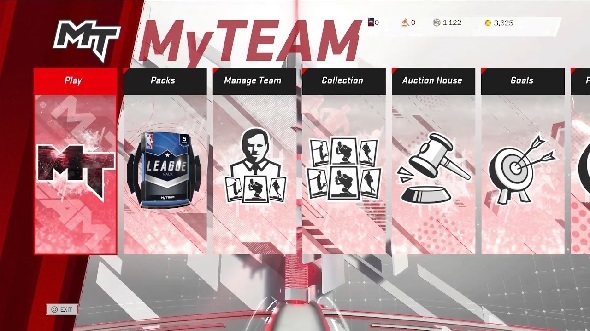 One thing unites most CCG mode fans – we love being able to drill down into minute detail about our cards’ abilities and performance, and NBA 2K18 certainly does not disappoint in that regard. 2K18 blows NBA Live out of the water, at least when it comes to the depth of available information. Steals, blocks, assists, turnovers, field goal percentage – it is a statistician’s dream, and really helps to inform your team tactics. NBA Live’s paucity of statistical information is utterly glaring in comparison and something its developers really should consider addressing. Fear Of Missing Out (or ‘FOMO’, as it is called these days) is a very real phenomenon in sports game CCG modes. New and improved cards are released on a weekly basis, which has players throwing currency – both virtual and real – at pack stores and auction houses in an attempt to snag the very best of them. However, not all of us have the time or money to invest in this, often leaving us on the outside looking in. 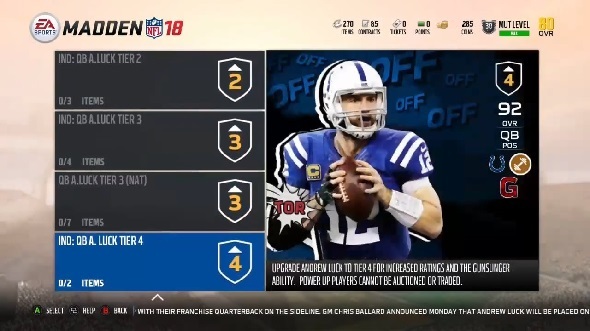 This is where the Upgrade Sets, Madden’s new feature, can come in handy. 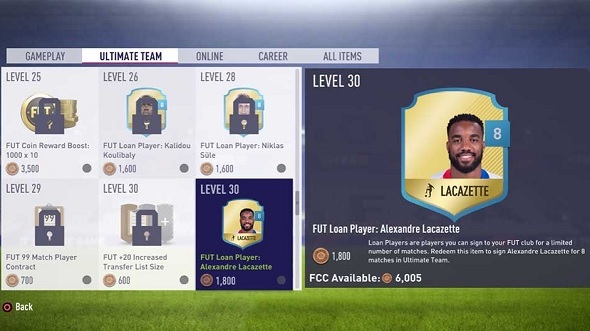 It allows you to purchase a base player then upgrade them to a higher-rated version by feeding them tokens – acquired by placing lower-rated players into a set. It is a little convoluted, sure, but it is a cheap way of ensuring some form of parity with those with more favourable bank balances. So there we have it – smash these aspects together into one entity and you would have a perilously-addictive CCG on your hands. Actually, perhaps it is for the best that such a mode doesn’t exist – I quite enjoy having a wife, a job, and a roof over my head. 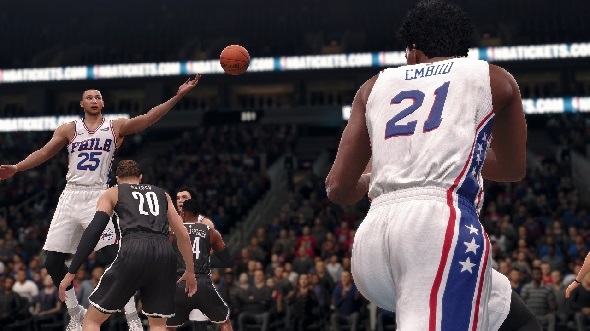 Still, if EA and 2K are reading, then… you know… don’t let that stop you from having a go.